In this study, women were sorted in various different groups. One group drank tea, others drank 1-2 cups of coffee daily, and another group drank 5 or more cups of coffee each day. 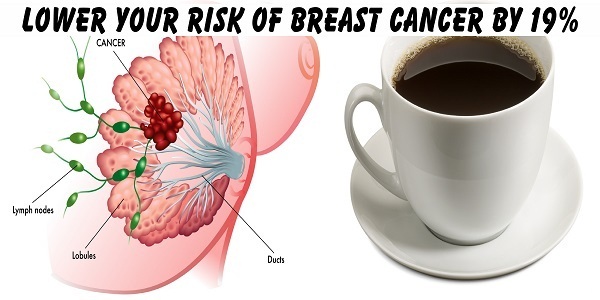 Research and date uncovered that the women who consumed at least 5 cups of coffee daily actually had a 19% lowered risk of developing breast cancer than the women in the other groups who drank tea or lesser amounts of coffee. On the alternative, researchers were actually surprised that drinking tea actually increased the potential of developing breast cancer which left researchers puzzled. It is possible that antioxidants in coffee protects cells against free radicals that allow the development of cancer cells. Additionally, coffee has phytochemicals and riboflavin which have both been discovered to protect people against cancer. What you need to know is you can protect the body against breast cancer by getting out your coffee pot and drinking away. Also, studies have found that coffee has healing effects of chlorogenic acid which can also lower the risk of cancer. This acid is denser in regular coffee than in decaffeinated coffee. To experience coffee’s full health benefits, drink it black. The sugar and cream will add too many calories to your daily intake and can also disrupt the effects the coffee’s antioxidants have on the body. Since more people are being diagnosed with breast cancer on an annual basis, you need to do everything you can to protect yourself and drinking coffee is just one thing you can do.